Since hearing about the Ice Castles, I have been very intrigued to go see them. The only Canadian location for the franchise is in Edmonton, Alberta. The kids and I hopped in the car last weekend to finally go check them out. 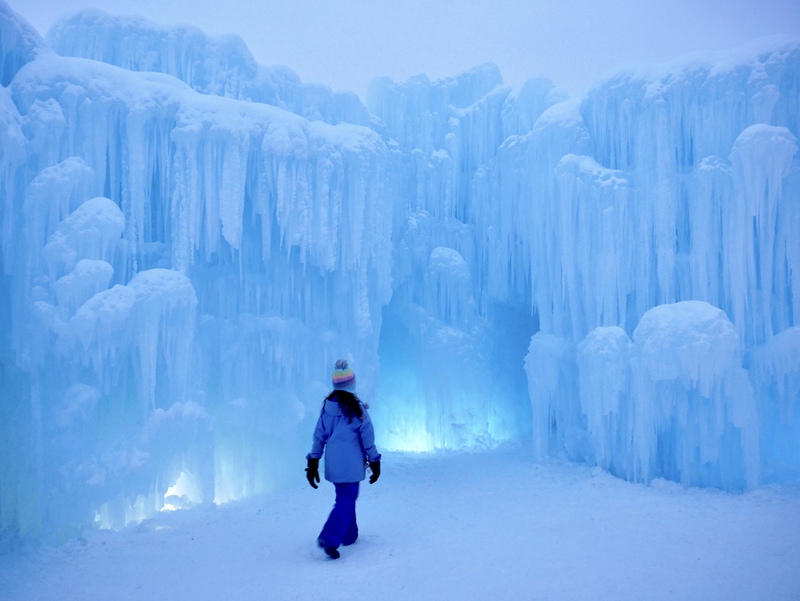 Here is what you need to know about visiting the Edmonton Ice Castles. First off, you are going to want to dress warmly. Edmonton is cold in Winter and as the sun goes down, the temperature drops quickly. Kids and adventurous adults will want to wear snow pants to able to enjoy the 3 ice slides. 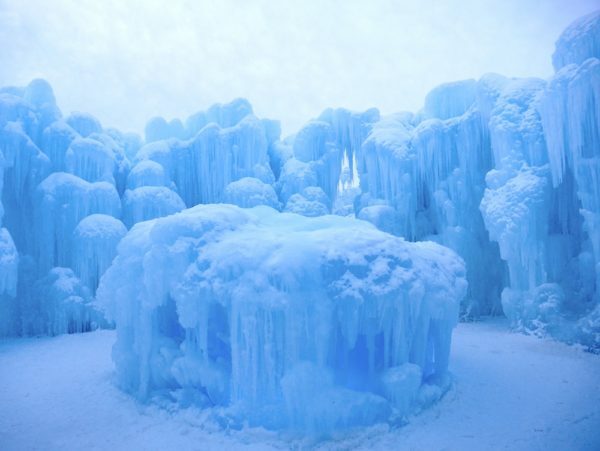 Secondly, the Edmonton Ice Castles is highly dependant on weather. 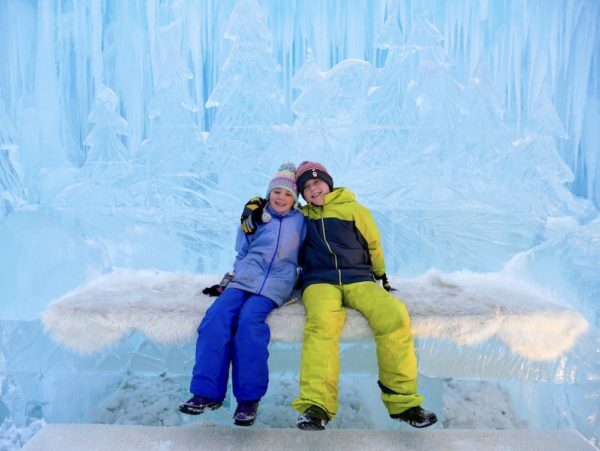 Know that if it gets too warm out, the Ice Castles will close temporarily due to the danger of falling ice. Thirdly, you can book your entry time by buying your tickets online. The arrival time means you can enter the Ice Castles during your window but you do not need to leave at any prescribed time. We stayed far longer than I expected. A great time to book is for 4:00 pm or 4:30 pm. We were able to enter the Ice Castles and check them out during the daytime. Since it gets dark pretty early, we were also able to see them lit up which is a very different experience. Lastly, the Ice Castles design change annually. 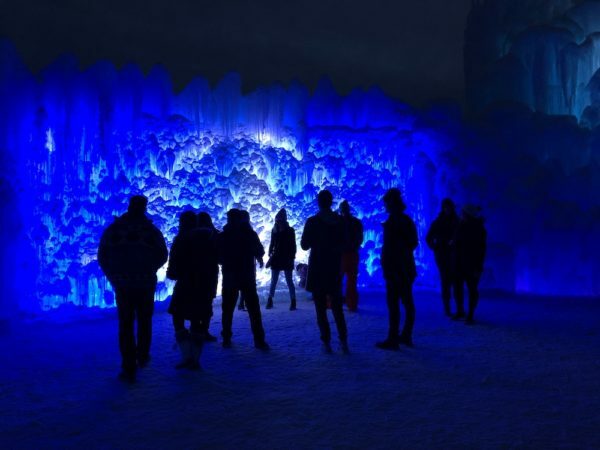 You will definitely want to bring a camera to capture some Edmonton Ice Castles photos. There are plenty of cute photo opportunities for families. Here are some of my favorites from the day. We were really happy we chose to go to Edmonton to explore the Edmonton Ice Castles with kids. I watched kids of all ages marvel at the wonder of the Ice Castles. Bundled-up babies tried to focus on the changing lights in the ice walls. Toddlers laughed and giggled as they went down slides. Older kids had fun exploring the mazes. It truly is a fun family-friendly winter activity. I was an invited guests of the Edmonton Ice Castles. All opinions are my own.